This Los Feliz "table and stage" offers lunch and dinner—grab a table inside the restaurant, bar lounge or alfresco patio—alongside live performances (think: cabaret, live bands and comedy shows). Bring a date or a group for dinner (show, optional) nightly at 7pm or weekends for brunch. Fill up on steaks and local fish or nibble on small plates and cocktails. 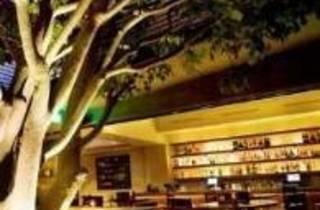 Though their once overly gracious happy hour no longer exists (used to go to 8pm, I miss you Rockwell happy hour! ), the Rockwell still has a lovely, hidden patio on which to wile away the hours. I have many fond memories of spending a hot weekend afternoon enjoying their patio off of Vermont--a best kept secret if there ever was one. Cold and delicious cocktails, 2-for-1 deals on food, it's a great hangout spot. While some shareables are a bit lacking, others like fries, mac n cheese, and flatbreads are solid. 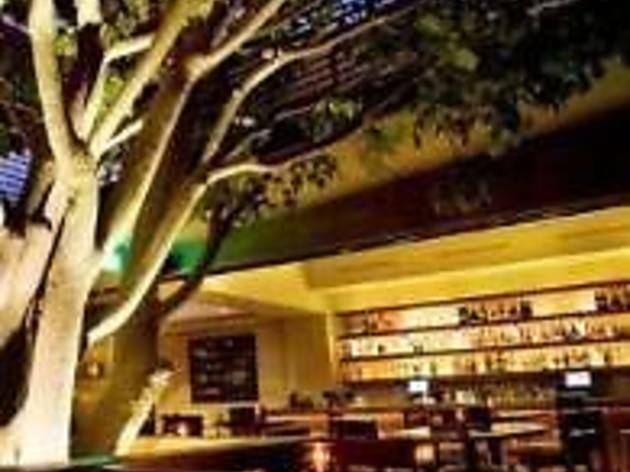 Parking in Los Feliz is a pain unless you're willing to go for a lot or valet, but if you're in the neighborhood looking for a drink and a bite in a chill, but elegant spot, this is it.